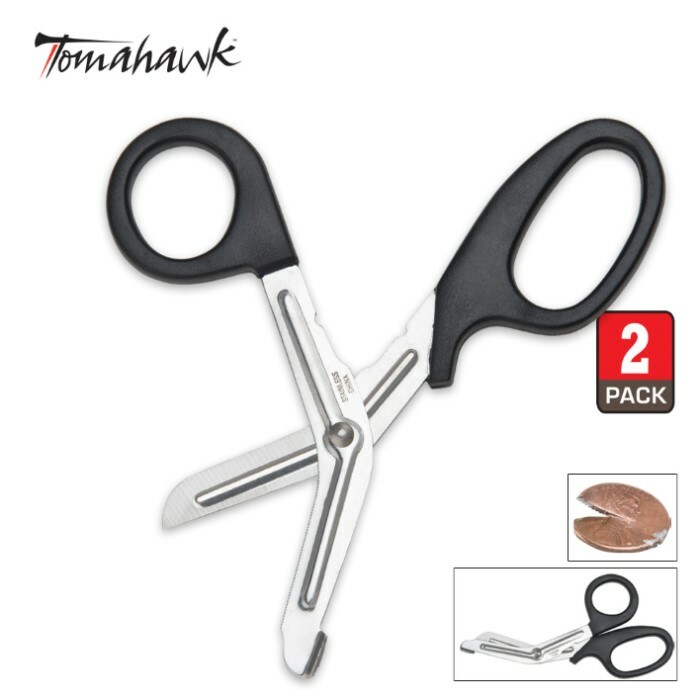 2-Pack Tuff Trauma Shears | BUDK.com - Knives & Swords At The Lowest Prices! Get two super sharp sets of trauma scissors for the price of one! You can keep one pair in each of your family's vehicles for emergencies!